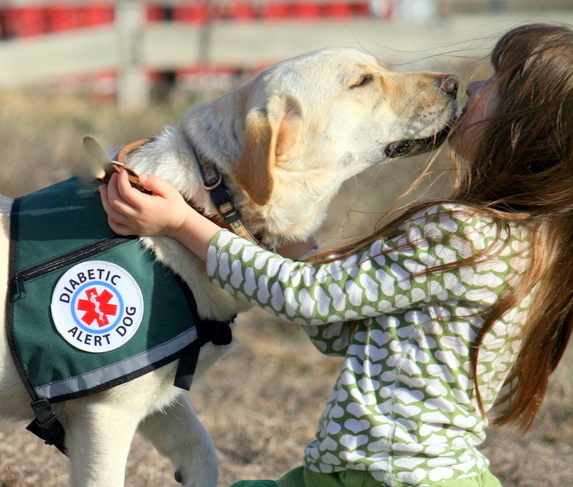 Diabetic Alert Dog training was founded by Mark Reufenacht. Reufenacht was a forensic scientist who also had type 1 diabetes. He had the idea that if dogs could detect bombs and drugs, they might be able to detect blood sugar levels. Based off of his research, studies, and training, the Diabetic Alert Dog training program was born. Our Diabetic Alert Dog program in Northern Virginia is run by Nick White, owner of Off Leash K9 Training. Nick is a former US Marine and former US Secret Service, he currently has over 70+ locations throughout the United States; however, his HQ is right here in Northern Virginia. Nick is globally recognized as being one of the top dog trainers in the world. He has 2 official world records in off leash obedience, named on Wikipedia as one of the top 20 dog trainers in the world, has been featured in many magazines and shows, and he is regularly requested by the top celebrities and athletes! He has been called upon by people such as MLB All Star Max Scherzer. UFC World Champion Jon “Bones” Jones, and many more! You can visit our YouTube Channel and watch over 900+ before/after videos of Nick and his team’s work! Off Leash K9 Training has more documented videos than any dog training business in the entire country! Off Leash K9 Training is known for the high level of obedience in real world environments; however, we also specialize in behavioral modification, nosework/detection, protection, service and therapy dog certifications, and K9 tracking! If you are looking for an exciting and stimulating task that maximizes your dog’s natural abilities, sign up now!